The prospects for the ratification of the Prespes name deal by the Former Yugoslav Republic of Macedonia’s Parliament appeared dim on Wednesday, with the main opposition VMRO-DPMNE party walking out of a debate, demanding that a vote be held as soon as possible, as Prime Minister Zoran Zaev struggles to draw the 80 votes he needs. 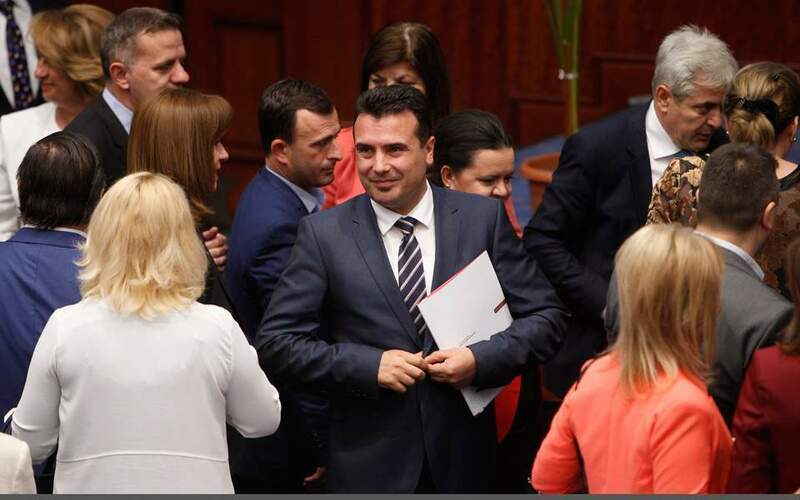 There was speculation that Zaev might aim for a vote on Friday, though he appeared to be far short of the necessary support. Meanwhile Greek Prime Minister Alexis Tsipras said Athens will never accept FYROM’s accession to NATO under the name Republic of Macedonia.